Our client had two DUI’s from outside California within the past five years. He was in Compton on business and feeling depressed over his divorce. So he went to a local hotel and proceeded to down seven shots of Jagermeister. He then got in his car and drove to a local restaurant to have dinner. 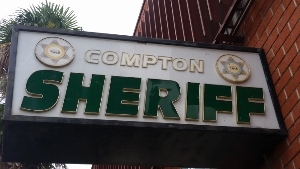 Synopsis: Compton, third-time DUI and 0.19% BAC resolved as a wet reckless and first-time offense with no jail time. He arrived at the restaurant at about 6:45 p.m. He then ate a very leisurely dinner in the rather busy restaurant. By eating slowly, he drew attention to himself from the restaurant staff, who also noticed he was quite drunk. When he finished his dinner at about 8:15 p.m., he then sat in the restaurant lobby. After the restaurant staff noticed him sitting in the lobby for about thirty minutes, they wanted him to leave. So at about 8:45 p.m., they called the Carson Sheriff’s, who arrived at about 9:00 p.m.
Our client freely admitted to being drunk, described how much he drank and stated that he had driven to the restaurant some time earlier. The Sheriff’s then had him perform some field sobriety tests, which he allegedly failed, and arrested him about 9:30 p.m. The Sheriff’s then took him to their station, where our Client gave a breath sample at about 10:10 p.m., almost three and a half hours after when he last drove. According to the breathalyzer, our client’s blood alcohol content, or BAC, was 0.19%. When Greg Hill appeared for the arraignment of our client, he had to pinch himself because the District Attorney’s background search on our client failed to reveal our client’s two prior DUI’s from outside California. This is not unusual, in our experience, but it is a nice thing to happen when it does. We find, as the years go on, that in more and more cases, the criminal background searches performed by the prosecutors are more thorough. Less slips by like it did in this case. Greg then pointed out to the District Attorney how the lapse in time of over three hours for the breathalyzer meant the presumption under California Vehicle Code § 23152(b) did not apply. Under § 23152(b), a presumption exists under California law that the blood alcohol content measurement taken within three hours of a suspect’s last act of driving is the blood alcohol content of the suspect when he was driving. Here, that presumption could not apply, so it would be incumbent upon the prosecution to reverse extrapolate our client’s blood alcohol content. That, however, is a highly criticized process, as no two people metabolize their alcohol the same way. In other words, although the average person metabolizes ethanol at the rate of 0.018% BAC per hour (meaning our client would have had a 0.25% BAC when last driving according to this rate if one adds 0.018% x 3.5 to the measured BAC), the rate varies with one’s lung capacity, hematocrit, lean body mass, fatigue level and about ten other factors, including mood, stomach contents, drinking pattern, age and gender. Moreover, in our case, there was no way the District Attorney could show our client’s BAC when he last drove was not under 0.08% BAC if our client chugged the Jagermesiter shots and then quickly got in his car and drove before the alcohol could increase his BAC above 0.08%. Our client, however, was fearful of the District Attorney doing any additional research into his criminal record, so when he offered him a wet reckless, our client accepted. The DUI charges were then dismissed. Our client was happy that he was able to resolve the case for a wet reckless and not a DUI under the circumstances, especially with his high BAC. Moreover, resolving the case as a wet reckless (Vehicle Code § 23103 pursuant to Vehicle Code § 23103.5) meant the client would not have to install an ignition interlock device (IID) as would otherwise be mandated after a conviction for DUI.